From the port rail they could see people running along the quayside and leaping down into the shallows from the jetty. Further into the city, trumpets were blowing and everywhere people were shouting. From time to time someone screamed. Two of the guard had found a great naval ballista and set it ready pointing down Harbour Street. The folly of their efforts was soon made plain as the front of one of the warehouses exploded outwards in a shower of boards. In the ruin stood a giant half again as tall as either of them. It ran at them before they could turn the weapon to face it. Grabbing the ballista in a single hand it hurled it at the guards. One flung herself into the sea. The other leapt aside and ran. Even had they shot the ogre it could have done no good. Even now, half a dozen more appeared. They smashed and tore everything they could reach, chasing anyone they saw. All aboard the ship remained silent. Their escape was no victory, for all that they had left behind them was lost. They hesitated to set sail nonetheless. Not in hope that the day might be saved, but to watch the last moments of the grand old city which was once their home. Not all of the mortal peoples are tame and civilized. Faced with human settlements spreading across more and more of the hill lands and the plains East of Llaewar, the ogres sought guidance from their gods. The response was unequivocal: they must fight back and liberate all the lands of the South. This conquest was not well planned, but it was well executed. A mob of ogres formed on the edge of the Porava jungles and swept Southeast, gaining in numbers from ogre tribes they passed on the way. A few cities were able to survive by virtue of being walled, inaccessible or defended by secrets, but most fell. By the time the mob reached Skasport it was over a hundred strong and the city’s defensive militia combined with the mayor’s guard were so hopelessly outmatched there was not even a battle. The mostly wooden buildings of the city were torn apart. Many of the ships in the dock were sunk and hundreds were killed. Those who escaped with their lives mostly escaped by leaping into the sea and swimming for vessels anchored offshore. Skasport was eventually rebuilt, since the ogres proved unable to effectively defend territory seized by their army once faced with an organised enemy. Nonetheless their brief success did have some lasting benefits for them. Maps were amended to show that the Northeastern part of the hill lands and the white steppe belonged to the the ogres and were not to be claimed by any other nation. Although the ogres had little understanding of politics and treaties, they understood the implications of a border between territories and in practical terms respected it more than their human neighbours. There was subsequently established in the maritime city state of Carzena a society of former residents of old Skasport who had survived its sacking. 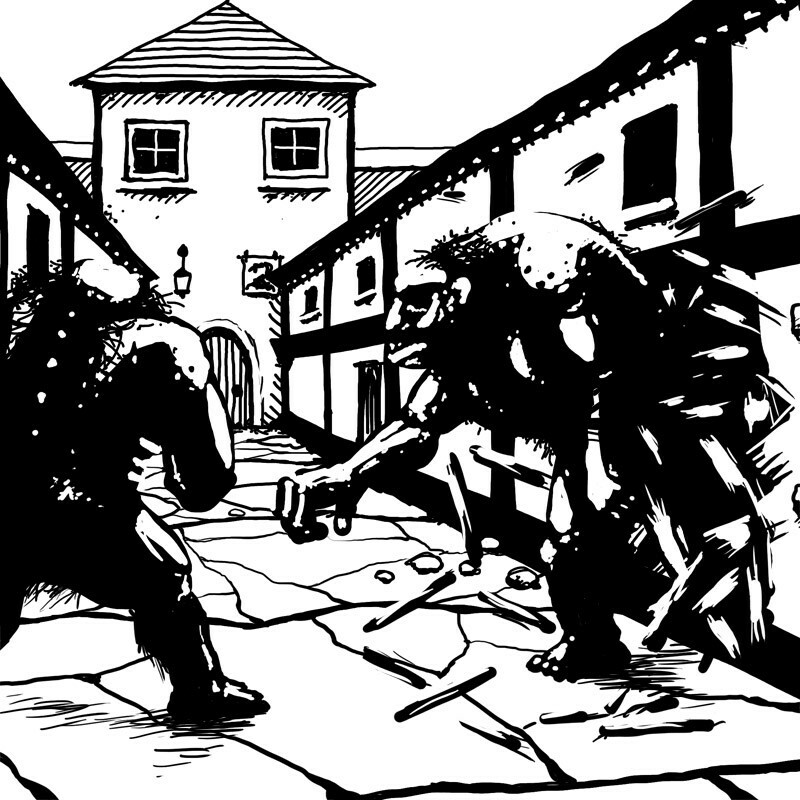 The Skasport Arms, whilst ostensibly a drinking and social club, served in practice as a hub for the kinds of adventurers and mercenaries inclined to raid the ogre lands in search of wealth and secrets.